The WCMG team has been very busy over the last few days transporting 4000 native plants on the retired area along the Whangawehi Stream. The weather has been fantastic and the forecast for the week end is great. So come along at the O’Brien’s this Saturday around 8.30 to enjoy this amazing community event. The holes are pre drilled and even the bags are pre cut …your only job will be to plant the trees !! 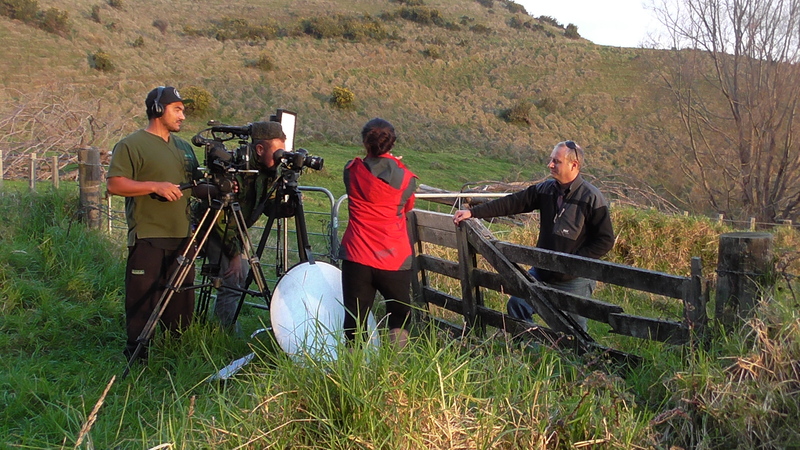 Darcel Rickard and her team from Scottie Production are preparing for Maori TV (Matauranga Maori series) a documentatory on the Whangawehi Catchment Management Group. Today, after our community meeting, Campbell Leckie from Hawkes Bay Regional Council was interviewed and filmed.